Tax expenditures — provisions that reduce the amount of tax that is paid by providing special treatment to a particular class of individual, industry, or activity — have been on the rise in Latin America and represent a reduction of between 10 and 20 percent in total revenues collected by governments, with questionable impact. While most Latin American countries publish a yearly report on tax expenditures, the information is often insufficient to allow for proper assessment and debate. And because tax expenditures are usually not negotiated as part of the regular budget process, decision-making around their design and approval is mostly opaque and prone to lobbying by powerful interest groups. The available evidence on the impact of tax expenditures shows that they tend to generate economic distortions and worsen inequality. Thus, civil society groups are increasingly becoming interested in engaging with tax expenditures to hold governments accountable for this important and opaque area of public finance. 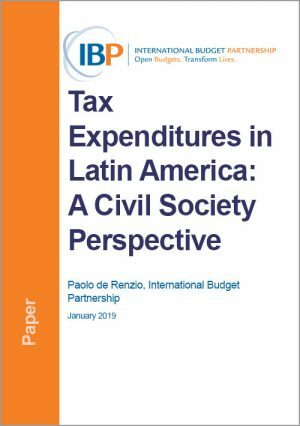 The Latin America Tax Expenditure Research, Advocacy, and Learning (LATERAL) project, a collaborative research, capacity-building, and advocacy initiative spearheaded by the International Budget Partnership and ten Latin American civil society organizations, began formally examining these issues in 2016. This paper (available in English and Spanish) summarizes the findings of the two main components of the LATERAL project: 1.) 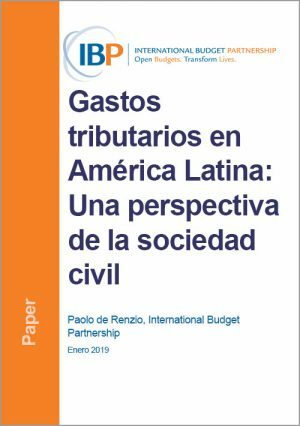 our research examining tax policy and tax expenditures in Latin America and the role that civil society can play in related debates; and 2.) country-level research on tax policy and tax expenditures in Latin America carried out by civil society partners.